← What Are The Learning Requirements For Becoming An Electrician? Here is what one of our readers had to say when we asked about hiring a licensed electrician. I can’t finish my basement on my own. Some of the work I can do, but when it comes to electricity, I don’t like to mess around. For one thing, I hate the feeling of an electrical shock. I have been shocked a few times on faulty light switches and such, and it has taught me to keep my distance. I also don’t want to have a short somewhere causing me problems. There are just too many ways for me to mess something up. I would rather put my house in the hands of a licensed electrician. Electricians have to be skilled at what they do to in order to wire a house. It is harder than drilling a few holes in the walls and pushing some wire through those holes. Having too many appliances on the same circuit can overload a circuit. I have been in a house where this was the case. The family had learned that you could only run so many appliances at the same time. They had adapted to deal with the problem, but occasionally they still made mistakes and had to run to turn the breaker back on whenever it got tripped. They did not have the smooth connections and problem-free electrical service that they should have had. They talked about having electricians come to help them with their problem, but they worried about how hard it would be to fix the problem. I thought they should have gone for it, but I did not have a deciding vote in the matter. Three-way lights are another tricky scenario. You would think that it wouldn’t be too hard to connect two switches to one light, but for some reason it is nearly impossible. I once tried to change out a three-way switch. I figured all I had to do was take out the old switch and observe where the wires connected so that I could easily put in the new switch. Somehow I still messed it up. I tried different combinations of wires again and again, but I just couldn’t figure it out. I thought that since there were only a few possible combinations that I would have to get it right eventually. I didn’t. I had to call an electrician to help me get the switch right. He grumbled about the snarled mess I had left behind. This experience once again taught me to respect electricians and to get out of their way. I have also known licensed electricians to work with the police. I had a friend growing up who was once called on to help the police figure out how some marijuana growers got their electricity. They had a vast underground growing room lit with grow lights. 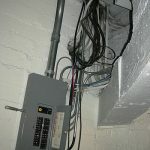 By tracing their wiring back to the source, he discovered that they had connected their wires before the meter, so they were stealing electricity from the electric company and there was no way for the electric company to tell how much electricity they were using. The police trusted my friend to get the evidence they needed. He had worked with them before, and he always did a good job. What these examples tell me is that working with electricity is complicated. It takes a specialist to get the job done right. The layman should not get in the way of the electrician even if that layman is a cop. 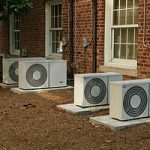 When it comes to finishing my basement, I can do many of the jobs on my own, but there are other jobs that I leave to the professionals. I will trust a licensed electrician to run the wires in my house.